There’s no getting away from it, the cold weather has come and it’s here to stay. I’m actually a fan of bright, cold days and love getting my winter clothes out of the wardrobe. Cosy jumpers, oversized scarves and of course ankle boots. I’m a big fan of comfy shoes, usually rocking converse and vans but in the winter I love stylish little boots to keep me warm and supported. For me the perfect boot has a little bit of a heel and looks great dressed up or down. I prefer leather because it’s easy to keep clean and if looked after will last for years to come. Being someone who wears a lot of black and grey I enjoy picking out boots that make a bit of a statement. Little details like embellishments, patterns and sparkle all catch my eye and go a long way to brightening up a winters day. 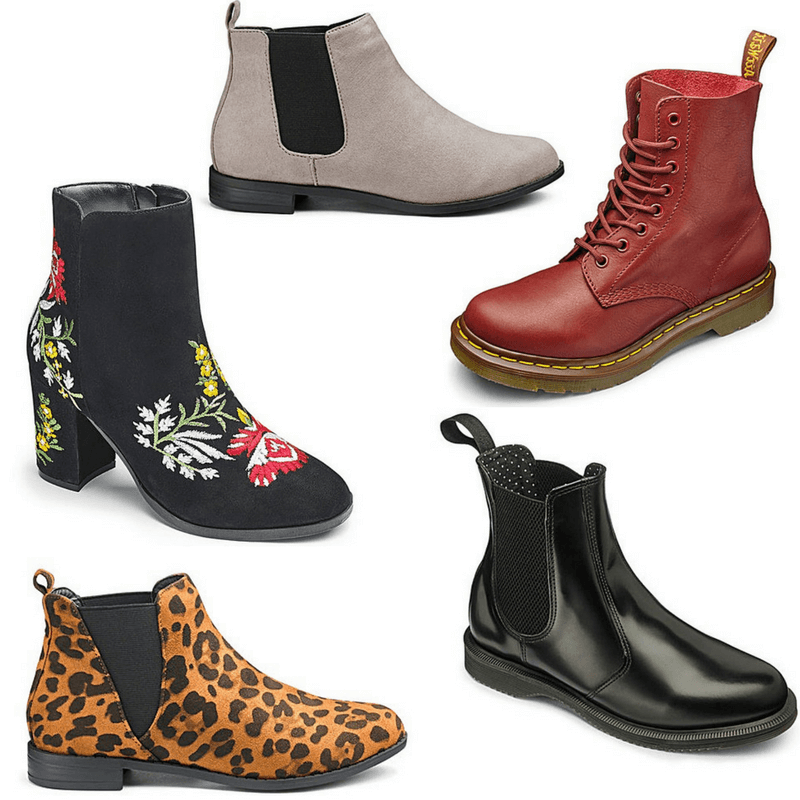 These are some of the ankle boots I’ve been lusting over for this winter. The leopard print and grey ones come in a variety of widths so if, like me, you have broader feet you can relax knowing you’ll be comfortable and well supported. Going fora wider fit also means you can wear thick socks on a particularly nippy day which is another must for me. I’m not sure if the heel on the embellished pair will be too much for everyday use but the Chelsea boots are perfect for a mum on the run! My favourite thing about these kinds of ankle boots is that they are super versatile. I can easily wear them with skinny jeans, tights and a dress or even leggings and a tunic. The black Dr Martens are definitely going on my Christmas list, I’ve heard they last a really long time so check back in 5 years and see if i’m still rocking them!